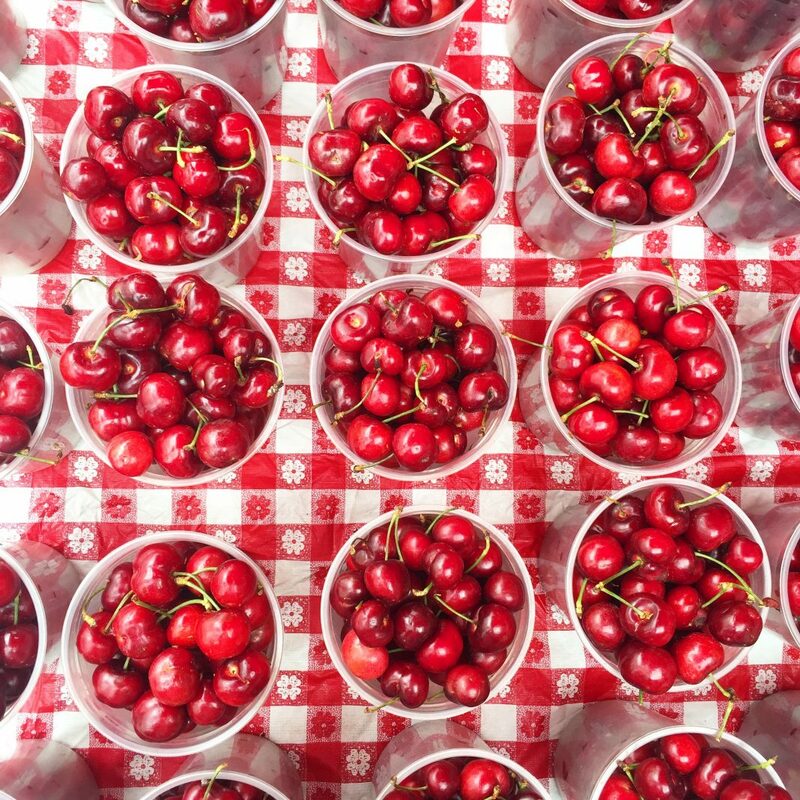 KCRW Good Food Producer Gillian Ferguson shares highlights from farmers’ markets around Los Angeles along with tips from chefs and growers on how to best use what’s in your basket. This week, she’s sharing one of the ways she prepares for her market trips. The crimson flesh of Moro blood oranges, and the orange glow of Sunset papyas were made for ‘gramming. 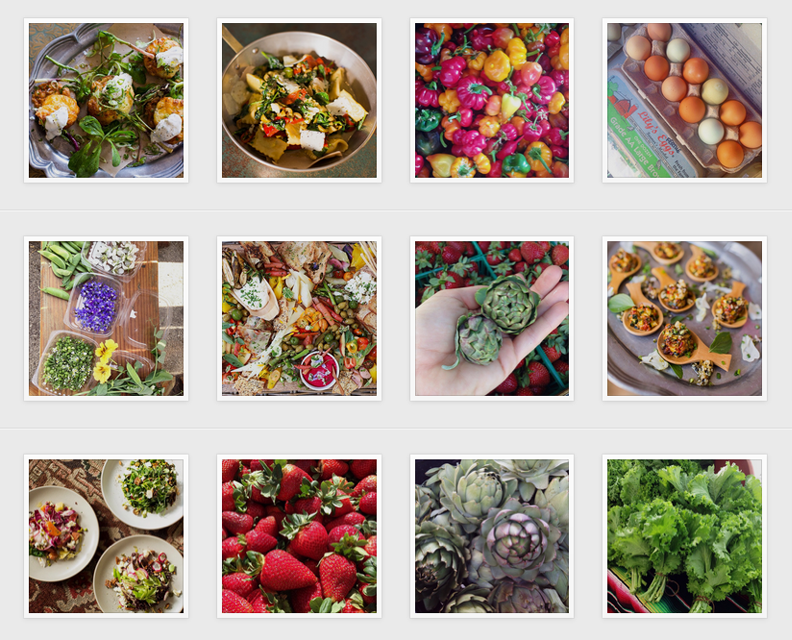 I rely on these four Instagram accounts to tell me what’s in season before I get to the market. If you want to know what specialty produce is in peak season at L.A. farmers’ markets, Karen Beverlin is the go-to source. She’s arrives at the market at 6:30 a.m. to scour the inventory for the most delicious and beautiful specimens. Her comments are both educational and entertaining. Beneath a recent shot of elderflowers she wrote, “The road to St. Germain” before a series of hashtags like #beautifulandfragrant and #idooooooooooooo. Laura began an Instagram account just three months ago and quickly amassed a cult following. Her photos of citrus and avocados are always well lit and accompanied by charming hashtags like #mydadtaughtmehowtofarm and #thanksdad. Sarah has the enviable job of sourcing ingredients for Eastside favorite Heirloom L.A. She writes on her insta-description, “which basically means I get to go to a lot of farms.” When she’s not visiting McGrath Family Farms in Ventura or tending the garden at Heirloom LA, she’s at the farmers’ market in search of unusual ingredients, like fresh green garbanzo beans from Jimenez Family Farm or spring shallots from Weiser Family Farms. Aliza is a former food stylist turned social media manager for chefs and restaurants. Every Wednesday you can find her, phone in hand, snapping overhead shots of a table of cherries or a sea of asparagus. She has a great eye and cheeky comments like #turnthatcherryout. And don’t forget to follow Gillian for farmers’ market inspiration. You can find her at @gillian_ferguson. Next articleA New Surveillance-Themed Anthology Has Its Eye on L.A.